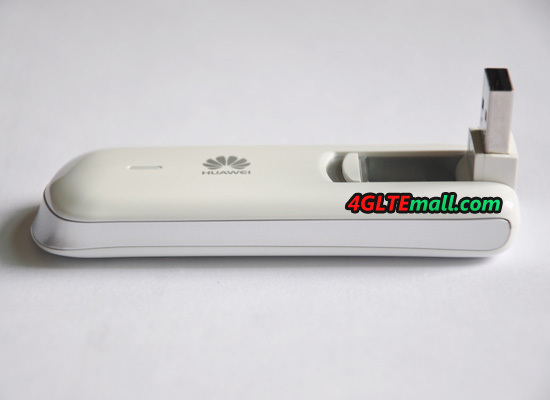 Today, we get the demo of Huawei E3276 4G LTE cat4 USB Surfstick. If we say 2012 is the beginning year of 4G LTE, 2013 should be the beginning of 4G LTE Category 4. LTE Category 4 develops from 4G LTE (also called LTE Category 3) and is more efficiency in data transmission. It could support 50% faster speed than 4G LTE Category 3 with peak download speed up to 150Mbps on FDD network. What amazing speed! 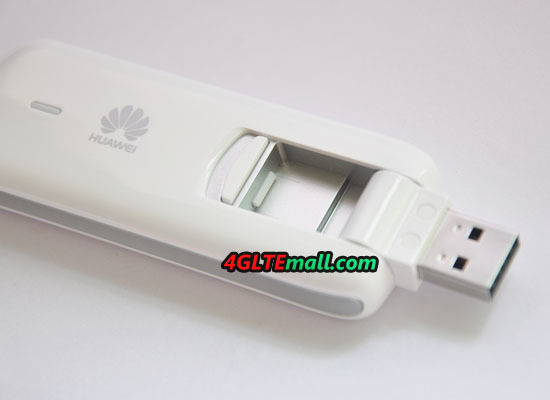 The Huawei E3276 Cat4 LTE modem is the successor of Huawei E398 and E397, which are LTE category 3 USB modems. 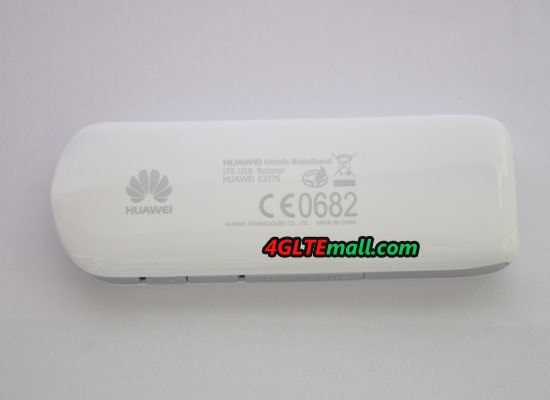 Huawei E3276 has been presented to public by many 4G operators all over the world. The Huawei E3276 we get is in white color, no operators’ logo. It’s in Huawei logo without original package box. The total design of Huawei E3276 is very cool, in vertical direction; it looks like a burning fire. On the front of Huawei E3276, there is Huawei Logo and beside logo, there is a LED indicator to tell users the connection status. Just like Huawei E398, the Huawei E3276 is also in rotatable USB design, the difference between them is the there is a cap to stuck the USB for E3276, press the button, the USB could auto eject, so it’s somewhat like the USB design of Huawei E397, but Huawei E398 doesn’t have this feature. The USB could be rotated to 2D total 180 degrees. It’s a user friendly design because it will save much space when connecting this dongle to PC, and it would help to get better signal strength. 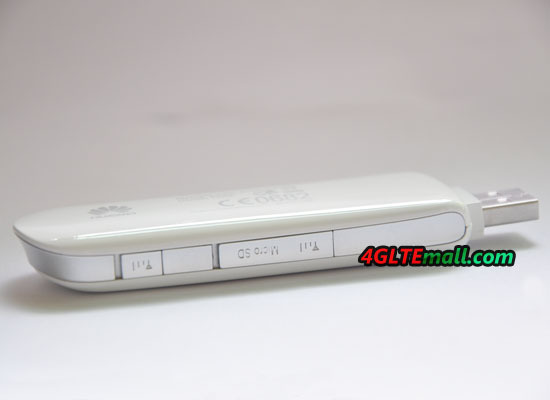 On the back of Huawei E3276, there is a stick, on which, we could see the model number Huawei E3276, Certificate information and place of origin. At the below side of Huawei E3276, we could see the MicroSD card slot covers by a plastic cap. Open it, we can see there is a external antenna connector with the slot. And the other connector for pigtail is at another hole. Push the back over towards to the direction to USB, the back cover could be removed from the body, and then the inner part could be seen. 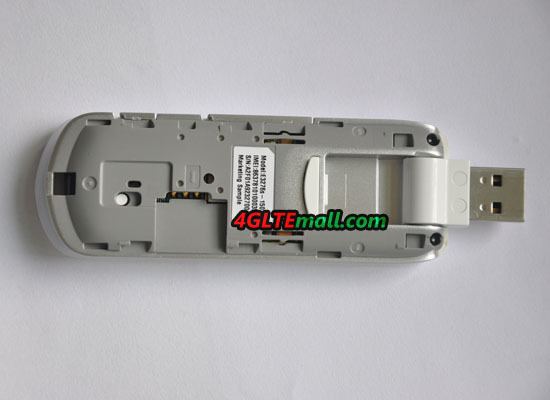 The Module of inner part is in plastic material, there is SIM card slot in the module. Above the module, there is the model nuber, IMEI number of Huawei E3276, and the S/N number. The model number is HUAWEI E3276s-150. 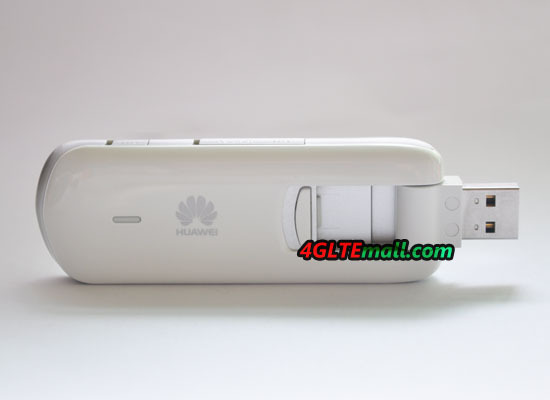 We get the information that HUAWEI E3276s-150 support 4G LTE FDD 800/2600MHz and 3G UMTS 900/1900/2100MHz with 2G GSM qual band 850/900/1800/1900MHz backward. And it has its partner model HUAWEI E3276s-151. In conclusion, the design of HUAWEI E3276 is cool and we believe the LTE cat4 dongle would give reliable high speed support for the users. Next time, we will have a test report for HUAWEI E3276 in near future.